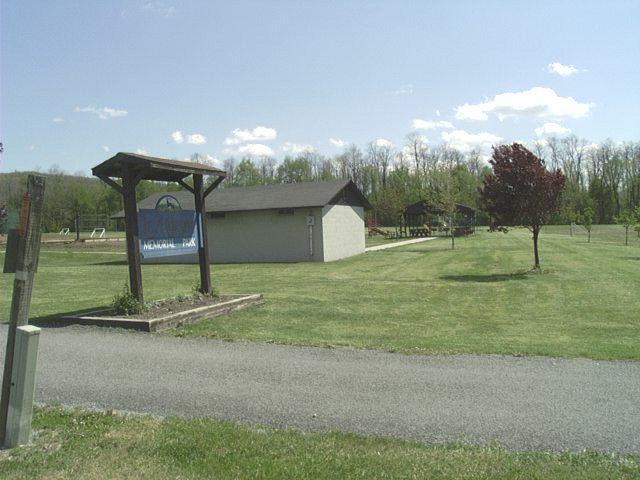 Click here to visit Camp Bristol Hills website. 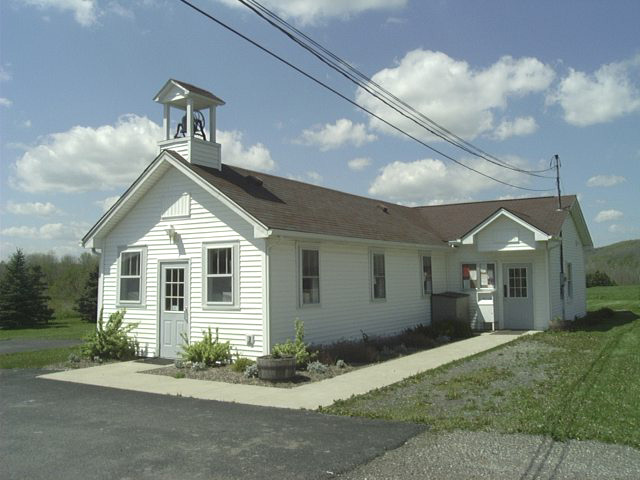 Cornell Cooperative Extension of Ontario County website provides interesting information about Agriculture, Natural Resources, Home Gardens, 4-H Bristol Hills Camp and much more for residents of Ontario County. You can click here to visit their website. Following article was taken from the August 2010 issue of "The Inside Dirt", published monthly by Cornell Cooperative Extension of Ontario County. For detailed information on the Bristol Library, click here to access the new library website. Click here access the fire department's website. 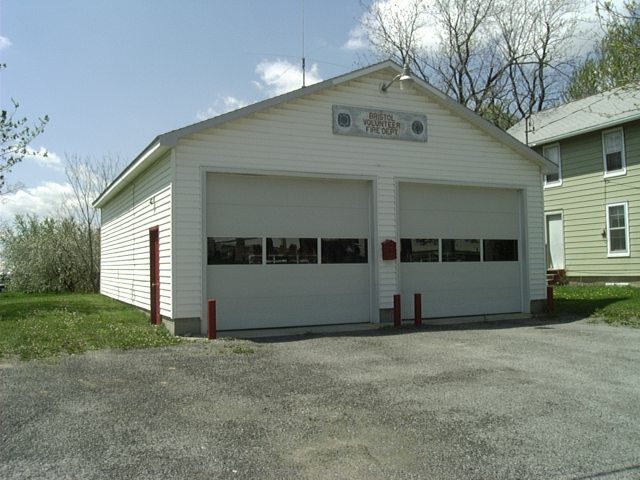 Fire protection is currently provided in the Town of Bristol by the Bristol Volunteer Fire Department, with the main Fire Hall located on Route 64 and an additional building at Baptist Hill. Our volunteer ambulance squad provides "round the clock" assistance. The United Church of Bristol, U.C.C. There is now a new weather vane with Gabriel on the steeple of the church. There will be a dedication Sunday, Oct 30th 2011, at 10am at the United Church of Bristol on County Road 32 in memory of Harrison and Norma Marble. It is great that Gabriel is back in Bristol. 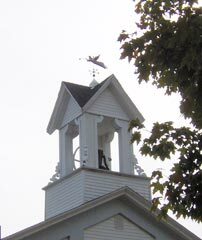 Several years ago there was a weather vane on the steeple of the former Congregational Church on State Route 64. That one went to the Rochester Museum and Science Center after the steeple was hit by lightning and the top part of the steeple had to be removed. Click here to go to the United Church of Bristol website. 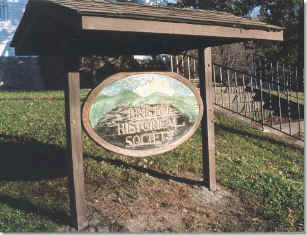 Click here to go to the Bristol Historical Society page. 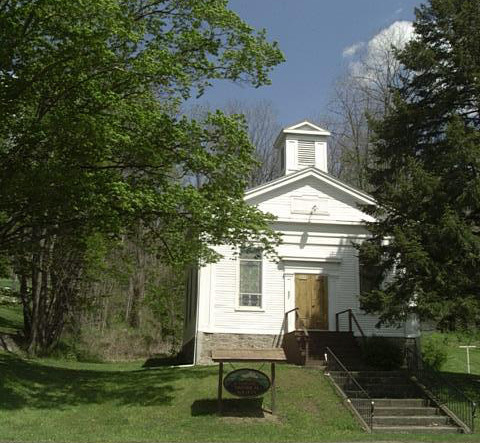 Harmony Circle of Bristol is a philanthropic organization dedicated to serving the people of the Bristol, NY area. Members’ time, talents and financial resources are used to assist and comfort persons in need and support projects and institutions which preserve and enrich our community. The group consists of 24 female Bristol residents and has been serving the community since 1921. Women 18 years of age and older may become a member upon invitation to the group. Harmony Circle meets twice monthly on Wednesdays at 8 PM at members’ homes. 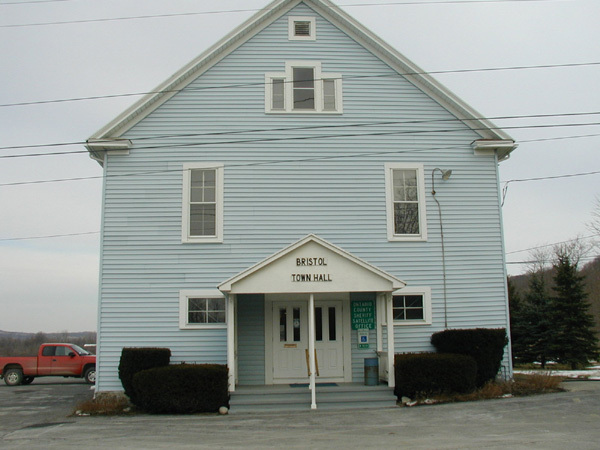 Past projects have included assistance with the restoration of the stained glass windows in the Bristol Historical Society Building. 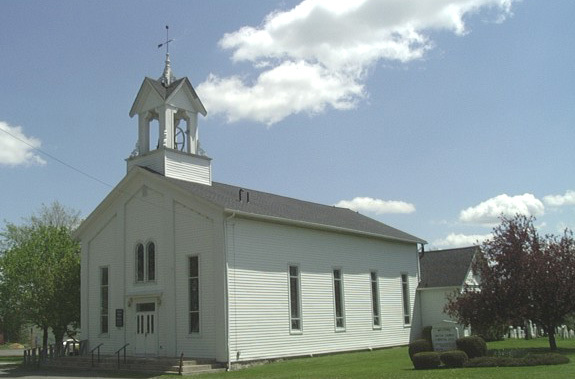 Each year during the Holiday Season, Harmony Circle donates funds to help the underprivileged in each Church Parish represented by a member of the group. Last December, the group donated to nine different churches in Bristol and the surrounding area. The group has also been able to sponsor a camper to attend 4-H Camp Bristol Hills. Each year the group "adopts" a family who resides in Bristol and brings baskets of food at various times throughout the year. The list of recipients of Harmony Circles’ generosity includes (but is not limited to) the Bristol Town Park, the Bristol Library, the Bristol Fire Department, the United Church of Bristol Food Cupboard, the Honeoye Community Food Cupboard, the Salvation Army, the American Cancer Society, Adopt-a Highway, Bristol cemeteries, 4-H Camp Bristol Hills, the Red Cross, Horizons Senior Living Community, Hospice, House of John, Serenity House of Victor, area soldiers and vets, as well as those who are ill, shut-in, or bereaved. This year’s philanthropic project focuses on purchasing movable shelving for the Bristol Library. Throughout the year, the group raises funds through an Annual Bake Sale held at the Bristol Fun Days in mid June, and through the sale of raffle tickets for a quilt which is designed and created by members. Donations are gratefully and enthusiastically accepted at any time. Please contact Amy Colburn at 229-7161 if you would like to learn more about Harmony Circle. 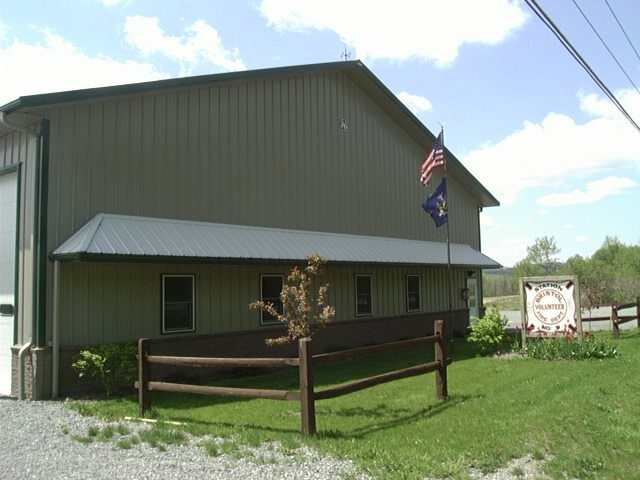 The Ontario County Office for the Aging is a human-service agency located at 3010 County Complex Dr. in Canandaigua, New York. Nestled in the Finger Lakes region, the county houses approximately 110,000 residents. The Office for the Aging serves people 60 years of age and older and their caregivers. The mission of this office is to provide advocacy, information, assistance, assessment, and referral. Click here to view the Ontario County Office of the Aging.